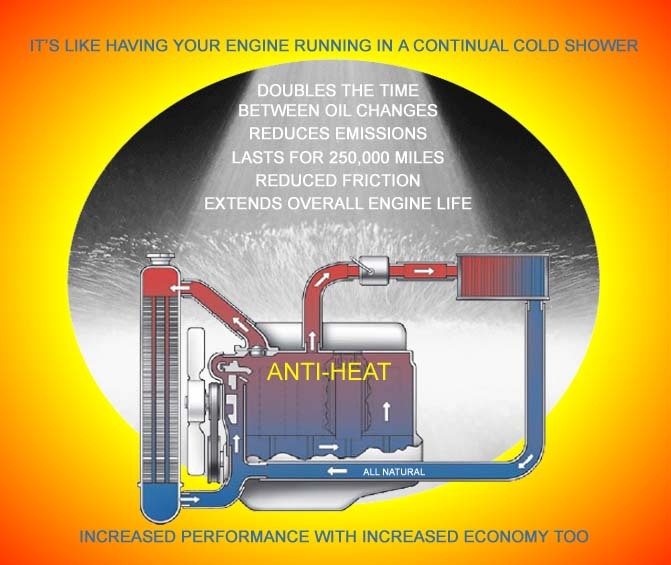 ANTI-HEATä works to reduce water and oil temperature, the temperature of internal engine components, it minimizes hot spots in engines, and in turn the passenger compartment and engine bay temperatures are reduced. ANTI-HEATä is non-toxic and biodegradable. It is non-corrosive and compatible with all internal engine parts, seals, hoses and accessory components. For use in racing, heavy equipment, towing, or high stressed applications where more cooling is needed run 1 quart ANTI-HEAT to 10 quarts of water. For normal street driven use in cars, motor homes, street rods, etc. use 1 quart ANTI-HEAT to 16 quarts of water. ANTI-HEAT can be safely mixed with antifreeze. Do not mix ANTI-HEAT with any other type of water wetters or radiator additives. Odor: Mild, fresh scent. Does not contain d-limonenes. Shelf Life: Indefinite when stored in closed containers between 28°F-120°F. Residue: Product dissipates rapidly. Product leaves virtually no residue. Store at room temperature. Avoid prolonged storage below 28°F or above 120°F. If frozen, return product to room temperature and allow to thaw before use. Product is freeze/thaw stable. Product is neutral. Rinse hands with soap and water after handling product. As with all chemicals avoid direct eye contact. Manufactured For: AIM International, Inc. Components are classified trade secret. No components are believed to be hazardous or listed in NIOSH Recommendations for Occupational Safety and Health Standards, 1988, or are listed as hazardous by SARA, CERCLA, or RCRA. Extinguishing Media: Not applicable. UEL: Not applicable. Special fire fighting procedures: None LEL: Not applicable. Skin: Negligible hazard. Not a primary skin irritant. Eyes: Flush eyes thoroughly with water. Skin: Rinse skin with soap and water after handling. Inhalation: Negligible. Remove to fresh air if there is irritation.Ingestion: If accidentally swallowed drink water and consult a physician if any irritation occurs. Ventilation: Under ordinary conditions of use for its intended purpose, no special ventilation is required. Eye Protection: Wear eye goggles or safety glasses if needed to prevent reasonable probability of eye contact. Protective Gloves: Wear general work gloves if there is a probability of prolonged skin contact to minimize any possible irritation. Spill or lead procedures: Recoup as much of the product as possible. Rinse affected area with water. Waste Disposal Method: Dispose of a non-hazardous waste in accordance with local, state and federal regulations. Storage & Handling: Store at room temperature. Do not store for prolonged period in temperatures below 28°F or above 120°F. Keep product in closed containers to avoid evaporation and/or possible contamination. Other Precautions: Do not mix with any other type of water wetters or radiator additives. IMO Hazard Class: Non-hazardous UN Number: Not applicable. NJ TSRN’s (New Jersey Trade Secret Registration Numbers): JG200-JG800. Components present containing listed substances which the State of California has found to cause cancer, birth defects or other reproductive harm which would require a warning under the statue are: NONE. Components present in this product that are listed on the WHMIS hazardous ingredients disclosure list: NONE. 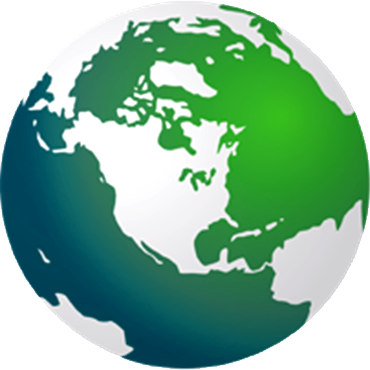 Requires notification of the National Response Center of release of quantities of hazardous substances equal to or greater than the reportable quantities in 40 CFR 302.4. Components present in this product at a level, which could require reporting under the statute, are: NONE. Requires submission of annual reports of release of toxic chemicals that appear in 40 CFR 372 (for SARA 313). This information must be included in all MSDS’s that are copied and distributed for this material. Components present in this product at a level, which could require reporting under the statute, are: NONE. The information presented in the MSDS is believed to be factual. However, nothing contained in this information is to be taken as a warranty of any kind by AIM International, Inc. The user should review any recommendations, in specific context to its intended use to determine whether they are appropriate.